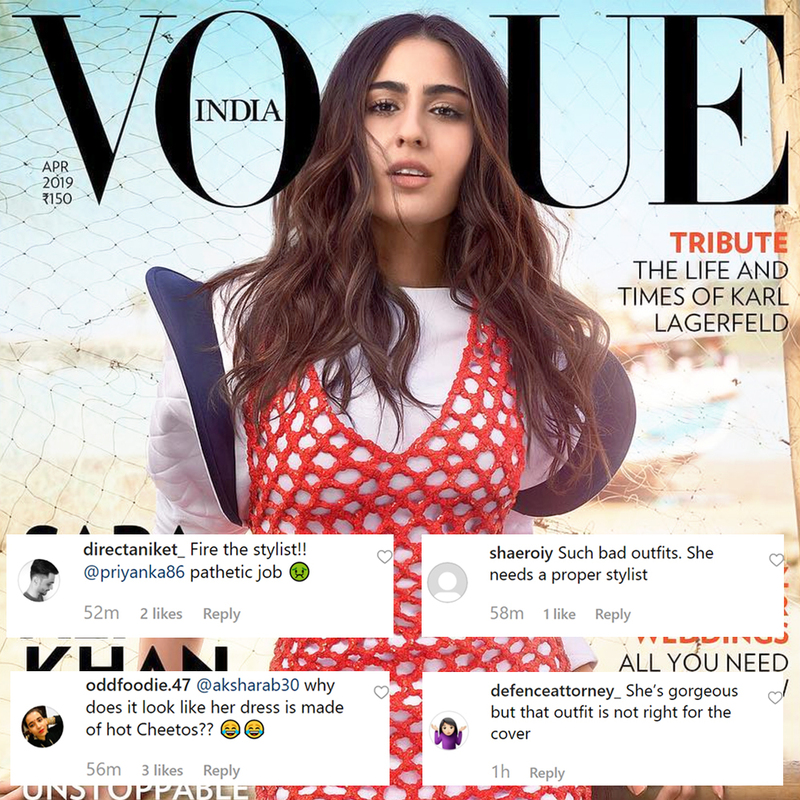 After marking her magazine cover debut with Filmfare, Sara Ali Khan is back to woo your hearts with her newest offering for Vogue India. The Kedarnath actress is the cover girl for Vogue India's April issue that focusses on summer weddings and the unstoppable Princess of Pataudi of course. The pretty actress raises the summer heat in red and white Louis Vuitton outfit that perfectly accentuates her svelte figure. After facing flak for her cultural appropriate photoshoot for Filmfare India, she played safe with her recent one and we hope its inside pictures don't turn it into a yawn fest. Shah Rukh Khan Fans Miffed With Sara Ali Khan for Referring Him As UNCLE, Twitterati Comes To Rescue. While Sara's new attempt is getting rave reviews from her admirers, her styling is receiving all the unwanted flak for the same. Fans are busy criticising her cover look for not being worthy enough and some are even suggesting if the publication should fire the stylist. The theme is not very clear and the stylist could have done a far better job in styling someone as vibrant and as refreshing as Ms Khan. We believe, the publication did a fair job with Janhvi and Suhana Khan's magazine photoshoot but failed to justify the potential in Sara. Sara Ali Khan and Sushant Singh Rajput's Relationship Goes Kaput and She is to be Blamed for It?